Weeee! One of the joys of winter is sledding down a pristine snow-covered hill, and here’s a sled with a lot of bells and whistles. 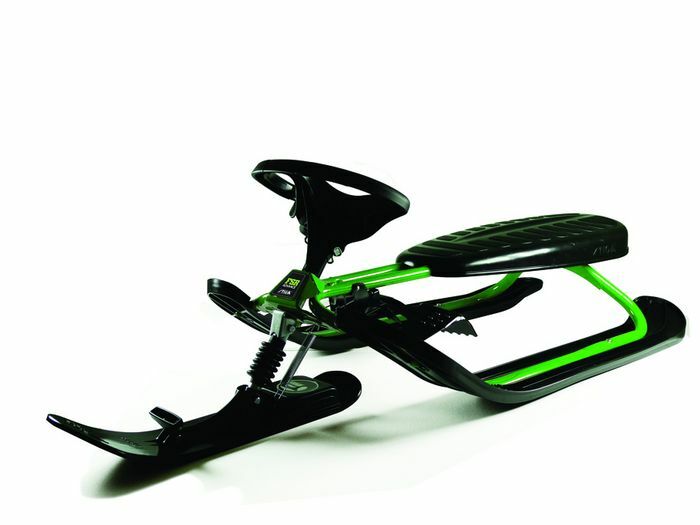 The FSR Green Foldable Snowracer from the folks at Stiga has shock absorbers for a comfortable ride. The dual action knee and foot brake keep you from careening out of control, while the Twin Tip skis and steering wheel make for easy turning and navigation down the mountain. The “ski stopper” feature is a great safety feature that ensures the Snowracer will stop on its own if you fall off. All this, plus it’s collapsible so that you can fit it in your car and store it easily. Time to get out and enjoy the snow!